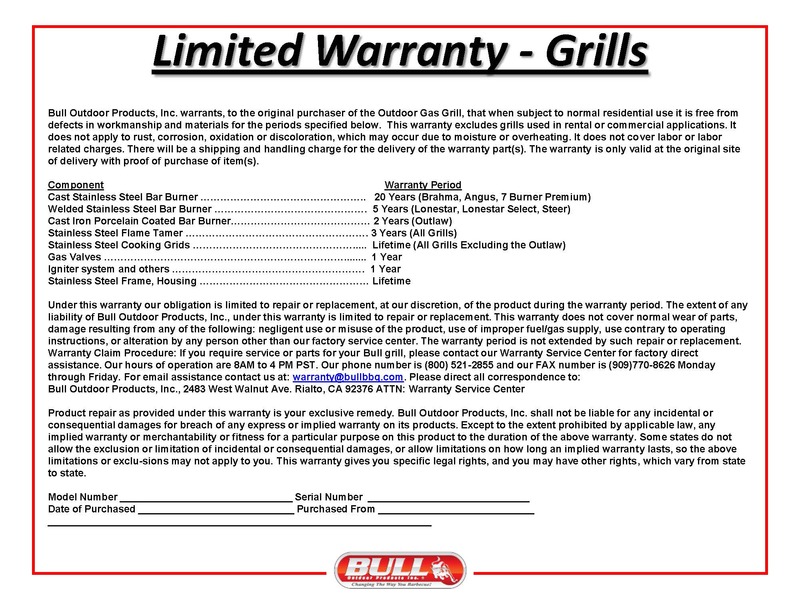 You can obtain more information about the 24" Bull Steer Premium Grill on a Cart from the Gas Grill Warehouse store by Email gasgrillwh@aol.com or call (281)894-8878. 24" Bull Steer Premium Grill on a Cartis just one of the many outdoor Kitchen Products available on the Gas Grill Warehouse web site. The 24" Steer Premium on a stainless steel cart has doors in the front that allow easy access to items you want to store beneath the grill. It also provides an adequate food preparation space when the stainless steel shelves on either side of the grill are utilized. It is available in natural gas or propane.